It was almost one year ago in December 2015 that Hannah Miller, a caseworker in our Coventry Office suffered a life-changing spinal injury. Hannah was completely unaware of any problems until she was admitted to hospital suffering with excruciating back pain. The eventual diagnosis was an abscess in her spinal cord but by the time it was identified the damage had been done. She spent 4 months in a specialist spinal hospital in Oswestry and much of this time was spent with Hannah lying on her back staring at the ceiling. As a result of her injury, Hannah is paraplegic; she has limited motor and sensory function from the waist down. It can take up to two years for the full potential of her recovery to be reached, but there may also be no further improvement and she will stay confined to a wheelchair. If coping with the physical changes to her body weren’t enough, there also had to be changes made to her home and some of these alterations had to be done before she was allowed out of the hospital. Hannah and her family were having to fund all of the alterations themselves and this was something that they just couldn’t do. This is where her HM Land Registry colleagues and other friends stepped in to raise money and help as much as they could. While she was in hospital, friends started the hashtag #HanCan as a motivational tool to help her on the road to recovery. This soon became the name for the fundraising efforts at Coventry office. Various events started to take place - everyone wearing a hat for the day (whilst paying for the privilege!) and a member of staff who is known for his passion for food did a sponsored fast for 24 hours. 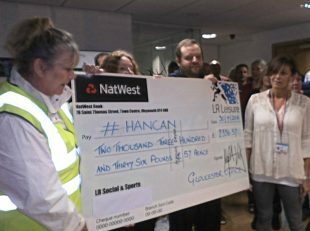 News about Hannah started to spread around HM Land Registry and soon other offices were joining in to raise money. These early efforts helped to get the start of the alterations to Hannah’s home rolling. The alterations have been extensive. First up was adapting the entrance to the home with a new front door and ramp so she could access the ground floor. The next stage was a through-floor lift and major structural work to the bedrooms to allow Hannah to be able to move around and have access to her young son in the night. More work was still needed at this point including an extension to house a wet room and alterations to the living space to allow Hannah to be independent. She also needed a streamlined, easier-to-handle, motorised wheelchair, so the fundraising continued! Gloucester office held an Olympic-style competition, sponsored bike ride, took part in the Windsor half marathon and held raffles and food sales (cream teas, cake sales, breakfast rolls). Birkenhead office held a day of events organised by each team and had “Batman and Robin” in the stocks for a soaking. 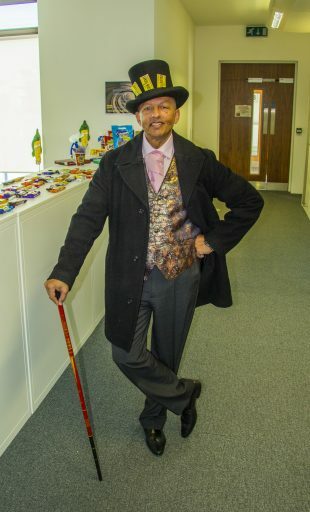 Nottingham Office held a quiz and a cake sale. Coventry Office also continued their own fundraising efforts and held raffles, took on a sponsored weekend walk from Gloucester Office to Coventry Office and took part in the Two Castles run. 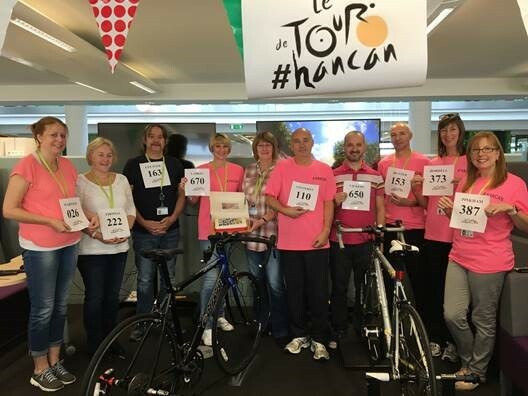 There was also a whole day of varied events including human fruit machines, a chocolate bar quiz, prize board, raffles, a nearly new sale, more managers in the stocks, cake and samosa sales and a “Tour De HanCan” virtual bike ride! During all of this, we have kept in regular contact with Hannah, letting her know that she is being thought about by her colleagues and that we are here to help her. Hannah is hoping to be able to come back to work in the next few weeks and continue her journey back to a normal routine. The total raised by HM Land Registry is a fantastic £11,513. Not only have the events raised money and hopefully given Hannah an emotional boost during her time away from work, but they have also encouraged the various offices to work together to support a colleague. In each office, teams have worked together to try and help as much as possible. It is a great example of what we can achieve if we work together.